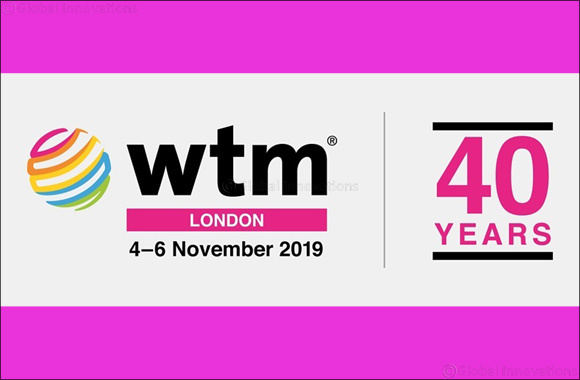 Independent research of WTM London's exhibitors reveals WTM London 2018 will generate a massive £3,353,042,708 in travel industry deals, either through contracts signed at the event or from negotiations with WTM Buyers' Club members – the buyers with the greatest purchasing responsibility in the travel industry – which will lead to deals signed before WTM London 2019. The record number of visitors and business conducted demonstrates the success of WTM London 2018's new Ideas Arrive Here concept, which included the introduction of five regional Inspiration Zones – UK&I and International Hub, Europe, Asia, Americas and Middle East and Africa. These Inspiration Zones led to an increase in content, ideas and inspiration for participants to take back to their business and implement to help fuel the growth of the travel and tourism industry. This strategy saw a greater number of senior CEOs and tourism ministers take part in the content programme – including easyJet's CEO Johan Lundgren and UK tourism minister Michael Ellis. Meanwhile, more research was added to the programme – including dedicated regional research sessions – from respected research organisations including Euromonitor International, Mintel, ForwardKeys and Nielsen. Furthermore, two new launches in Travel Forward and the International Travel & Tourism Awards (ITTAs) grew WTM London's reach further. Travel Forward – the event to inspire the travel and hospitality industry with the next generation of technology – was a great success with more exhibitors and visitors than its predecessor The Travel Tech Show at WTM. The inaugural ITTAs saw almost 500 audience celebrate excellence within the travel and tourism industry. Joyalukkas announces 慓old Fortune' on the exclusive occasion of Akshaya Tritiya.